Here are the facts: in 2017, apartment completions in the 150 largest U.S. cities jumped to 395,775 units, higher than 2016 production by a staggering 46% and more than doubling the long-term average, according to RealPage. However, instead of focusing on the mid-range, luxury, upscale buildings accounted for between 75 and 80% of the new supply in the current cycle. "It's really tough to deliver product at those lower price points. The cost of land, the cost of building materials, the cost of labor. It's really about the same regardless of what product you're doing and it's just tough to make a deal work financially if you're going toward that middle-market price," Greg Willett, chief economist at RealPage, told CNBC. To be sure, demand for luxury apartments remains strong, but that "is by choice, not necessity." Tenants in luxury buildings are often renting a second or third home or perhaps downsizing from a larger suburban home. They are not struggling to afford the monthly payments. It's everyone else that is in trouble, in this polarized world of two extremes. The outcome? An "acute crisis" is headed our way as a result, according to the head of one of the biggest regional developers. How much are they spending on rent? 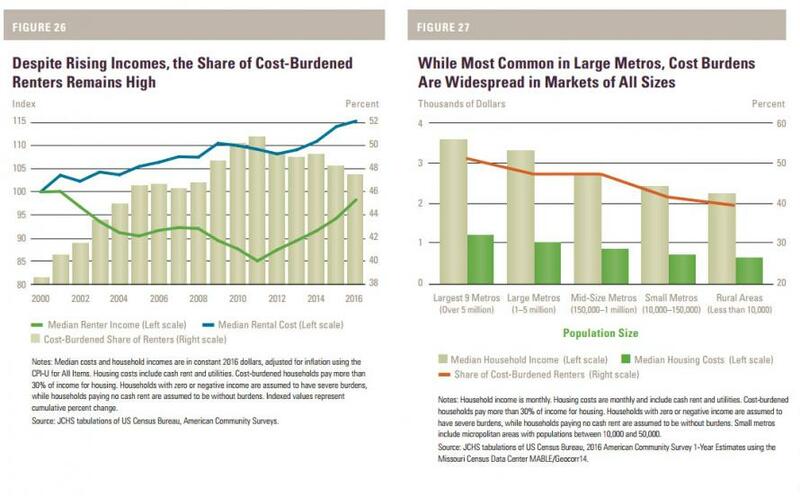 ... which also found that soaring rental costs have rapidly eroded overall disposable income for the US middle class. Meanwhile, as the sub-luxury segment is facing an imminent crisis, the luxury segment is about to crack as rents on the high end flattened in the last year, and landlords are starting to offer concessions, like high-end amenity packages or a month's free rent. To be sure, none of this is happening outside the luxury market, where rent increases are still strong due to low supply. Developers say they simply can't afford to add anything but luxury. And for those who have troubling finding input cost inflation, here is where it's hiding: the cost of that two-by-four, lumber, is now at a record high. Other products like steel and concrete are more expensive, but the real cost spikes are in land and labor. Skilled construction labor is not only expensive, it is extremely difficult to find. The biggest problem, for developers, is passing on these soaring input costs to renters, something which is virtually impossible when nearly half have zero incremental capacity to absorb even higher rents. 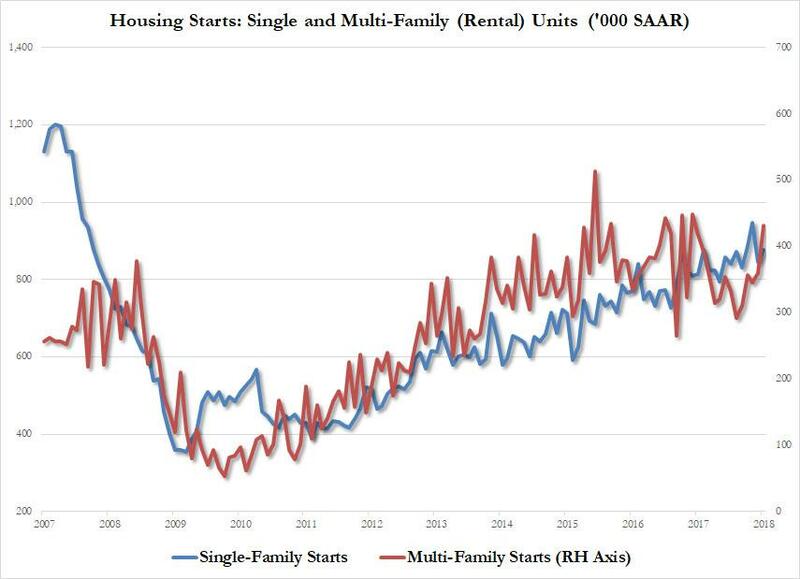 That's why developers are battening the hatches in anticipation of an inevitable pricing crisis that will sweep the entire rental industry. Meanwhile, the Fed is unable to find inflation anywhere it looks or, as Janet Yellen recently said, it "remains a mystery."